In recent years, employers have moved to cut costs and improve flexibility by using leased and temporary workers. In response, the Occupational Safety and Health Administration (OSHA) has created and enforced policies requiring employers to ensure that those workers receive the same protection from occupational hazards as their permanently employed counterparts. A New York recycler found out just how serious OSHA is about its new policies when some of its workers complained about exposure to used needles while sorting recyclable bottles and cans. Tomra NY Recycling operates four facilities in the state. 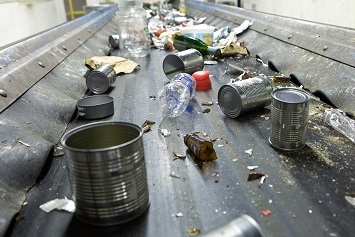 Some of its workers, including leased and temporary workers, perform manual sorting of bottles and cans. In 2016, OSHA inspected both Tomra’s Farmington, New York, and Syracuse, New York, facilities after workers reported being stuck by used hypodermic needles. The problem, OSHA discovered, was that the safety of leased and temporary workers was not being addressed under the employer’s bloodborne pathogens (BBP) program in the same way as permanent employees. When OSHA inspected Tomra’s Farmington and Syracuse facilities, it found that the employer had not taken appropriate precautions to identify all at-risk workers and to prevent BBP exposures and infections. In particular, temporary and leased employees who manually sorted recyclable bottles and cans were not covered by the employer’s BBP program. Failing to offer hepatitis B (HBV) vaccination to potentially exposed workers who manually sorted recyclable bottles and cans. Revise the exposure control plan and exposure determination at all four of its facilities to reflect that all employees, including temporary and leased employees, who manually sort recyclable bottles and cans have occupational exposure to BBP. Provide its revised exposure control plan and exposure determination to OSHA. Ensure that all employees with occupational exposure receive annual BBP training; coordinate training with staffing agencies; and inform the staffing agencies when it has provided training to temporary or leased workers. Provide to all occupationally exposed employees appropriate personal protective equipment (PPE), including puncture-resistant gloves, and ensure that they use it. Provide engineering controls, such as tongs, to employees with occupational exposure. Ensure that HBV vaccination is offered to all employees with occupational exposure. Tomorrow, we’ll look at additional requirements OSHA imposed on this employer as a result of a corporatewide settlement agreement.